For anybody going to Cambodia seeking real adventure with real people, you do not need a guidebook; you need Rediscovering the Khmers. In Thailand’s north-western town of Mae Hong Son, I am waiting in a safehouse to be transported to a camp for teaching English to ethnic minority Shan people in Burma, on the Thai-Burma border. 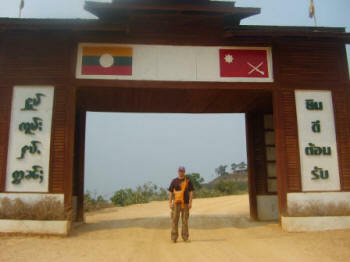 Soon, I will be crossing illegally into an Internally Displaced Persons (IDP) camp in Loi Tailang. It is June 20, 2008 and I am seated next to a former military officer and combat veteran on board a bus from Saigon, Vietnam heading for Phnom Penh, Cambodia. I am fielding a question regarding how many times I had visited Cambodia before. “This is my first visit,” I reply in a tone awaiting a lecture on life. “Son,” he said, “You are an infant, yet to find your place in this part of the world.” Fast forward four months.